Find the solution that works for your organization. With Care Progression… Your care teams work toward a common care plan and length of stay goal for each patient. They can readily identify patients who are not progressing as expected and why. You’re confident progression barriers are being addressed proactively. You know your nursing units provide the timely, quality patient care which results in a positive patient experience. You are optimizing the progression of patients on your nursing units. 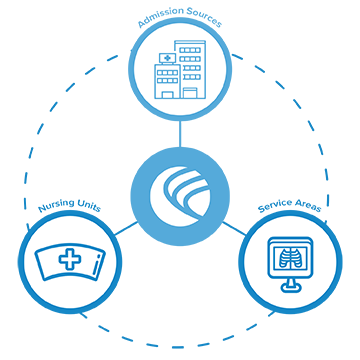 With Operations Optimized… Your organization now delivers efficiencies beyond what your EHR and capacity management solution already offer. Care teams work toward a common care plan and length of stay goal for each patient on your nursing units. You have optimized patient scheduling and the delivery of tests and services to your patients. Fewer diagnostic delays result in better quality and patient safety and boost patient throughput. Predictable schedules and fewer trips off-unit increase patient satisfaction. You are driving efficiency across your organization. 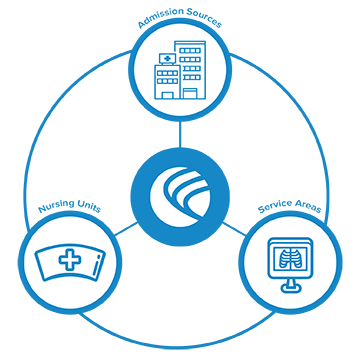 With the Hospital Operating System… Patient logistical activities are coordinated across your organization. Care teams work toward a common care plan and length of stay goal for each patient on your nursing units. You have optimized patient scheduling and the delivery of tests and services to your patients. Unit and bed placement is made with projected bed and staffing availability in mind. Your nursing units and service areas are directly connected to and coordinated with your capacity management systems. You know the status of each patient and exactly where they are at all times. You are achieving performance excellence!